Newly accessible natural gas from deep shale deposits around the world has been touted as a solution to everything from oil dependence to climate change. But our actual experience with shale gas extraction is telling another story. The natural gas industry would like you to believe that newly accessible gas previously locked away in deep shale deposits is set to make natural gas the dominant fuel of the 21st century. Presumably, that's because natural gas is cleaner, produces fewer greenhouse gases, and will supposedly be widely available at reasonable prices. Therefore, we'll be using it to generate more of our electricity, power more of our vehicles, produce more products from our petrochemical refineries, and generally replace oil as the world's primary fuel. Can gas from shale really promise all of that? David Hughes, formerly a geoscientist with the Geological Survey of Canada for 32 years and now an independent consultant, believes that those promises are overblown. He outlines his concerns in a new report entitled "Will Natural Gas Fuel America in the 21st Century?" which he prepared for the Post Carbon Institute. Even though he has limited his study to the United States, much of what he says is applicable to the rest of the world. So many of the claims made for shale gas are questionable that it's hard to know where to start. The key claim is that it will be plentiful. But strangely no particular price is attached to this claim. What would we have to pay for that bounty to be available? One driller I know says it's nonsense to tell the public that we will have extensive supplies of natural gas from shale without saying what it will actually cost. He said that natural gas selling for $5 mcf implies a much smaller exploitable resource than gas above $10 mcf, a level hit only briefly twice in the last decade. The report cites estimates of what price it might take to get large volumes of shale gas out of the ground. Some of the easiest and highest flowing wells may make a profit at current prices around $4 mcf. But harder-to-get gas will likely cost more than $7 mcf and possibly as much as $11.50 mcf. What's clear is that ramping up shale gas production won't be cheap. As my driller friend opined, "We can have cheap natural gas or we can have plentiful natural gas, but we're not going to have cheap, plentiful natural gas." But just how plentiful will that natural gas be even with high prices? Forecasts from the U.S. Energy Information Administration (EIA)--which have tended to be too optimistic--suggest that shale gas will only lift U.S. natural gas production modestly between now and 2035. This is because other sources such as conventional gas and coalbed methane are projected to experience significant production declines, -29 percent and -4 percent respectively, during this period. Except for a relatively small increase in offshore production of 9 percent, shale gas in the United States must make up for these declines first before it can add to our current rate of production. An increase of 26 percent total is expected for U.S.-produced natural gas through 2035. That's hardly a fraction of what would be required to fulfill all the promises made for natural gas. According to the EIA, gas will provide almost the same percentage of energy to the U.S. economy in 2035 as it does today. This suggests that there simply won't be enough gas available for broad new uses such as natural gas-powered vehicles or natural gas-fired baseload capacity for electric utilities. Far from displacing oil, natural gas is likely to continue in its current uses: a fuel for heating buildings and for industrial process heat and a petrochemical feedstock. Let's imagine for a moment (even though the facts don't support this) that the natural gas optimists are correct, that the United States has a 100-year supply of natural gas. Even if this were true, it's 100 years at current rates of production. But wait, the natural gas industry is proposing vast new uses of natural gas and expecting normal economic growth. That means that the rate of production must grow rather consistently over time if natural gas is to displace oil and meet all that new demand. Simple spreadsheet calculations will tell you what you need to know about what happens to such claims under the pressure of a little exponential growth. At 2 percent per year growth (about what oil production grew prior to the plateau that set in in 2005), the 100-year U.S. domestic natural gas supply is exhausted in 56 years. If we assume that production peaks when about 50 percent of the resource is exhausted, this puts the peak within 35 years. Think about it. Even if the optimists are correct, with a production growth rate of just 2 percent per year, the country reaches a peak within 35 years! What will we do after that? The picture gets acutely worse as the rate of production growth rises. A 3 percent rate implies exhaustion in 47 years and peak in 31 years. A 5 percent growth rates means exhaustion in 37 years and a peak in just 26 years. Now consider that domestic supplies are probably going to be less than claimed, and you'll see why shale gas simply cannot solve our energy problems. What is preventing the huge ramp-up promised by the natural gas industry? As it turns out, while initial flows from fractured shale gas wells are very high, they usually decline by 65 to 80 percent within the first year. The second year sees another considerable decline. Therefore, flows tend to settle at very low levels. This means that in order to achieve growth in the rate of production, new well completions must expand quickly enough both to make up for these steep decline rates and to meet the need for growth in overall rates of production. The process is akin to trying to climb up a down escalator, one that is going down at a rather fast rate. As the overall rate of production climbs, the number of new wells needed to maintain and grow production mounts exponentially. The task becomes more and more capital-intensive as larger and larger rig fleets have to be built and deployed on a continuous basis. At some point growth in production rates will have to level off as the growth of the oil and gas services industry becomes unsustainable due to constraints in both capital and skilled labor. In addition, environmental concerns are likely to result in new regulations in many states with shale gas deposits. Such regulations add to costs as they slow development. These regulations essentially revolve around protecting drinking water aquifers and rivers from fracturing fluids injected under intense pressure into the borehole of the well. These fluids are what create fractures in the shale that allow the gas to flow to the wellbore. Much of the injected fluid returns to the surface and must be treated or disposed of. The rest stays in the formation, and there are fears that it could migrate to drinking water aquifers via poorly sealed drillpipes. Finally, while natural gas is touted as a fuel that is much cleaner to burn than coal, only conventional gas reservoirs (which are now in decline in the United States) produce natural gas with a vastly better greenhouse gas profile. Because the fracturing process allows a considerable amount of methane to escape into the atmosphere at the beginning of a well's life, the greenhouse gas profile of shale gas is much less favorable. Hughes' report references one study that claims that this so-called "fugitive" methane comes out in such great quantities that coal used for coal-fired power plants has a better greenhouse gas footprint. I'm not convince it's that bad. 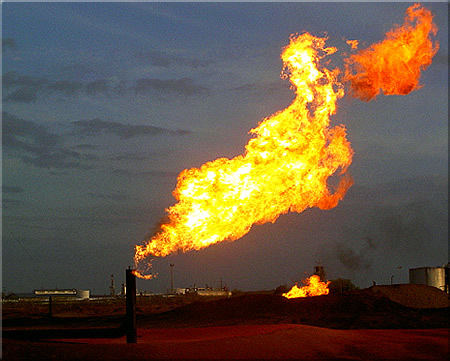 But, this unburned methane is 20 times more efficient than carbon dioxide at trapping heat in the atmosphere. That means large unburned methane emissions can reduce and possibly even negate methane's advantage as a climate-friendly fuel. Where does that leave us? Well, only one claim made by shale gas proponents is unequivocally true: Natural gas is cleaner, meaning it is less polluting to burn at the burner tip than other fossil fuels. That's an important property, and one we should not ignore as we try to find a transition strategy away from fossil fuels altogether. But the claims of abundance, low price, and low carbon footprint must all be discounted considerably if we are to make a realistic assessment of the role shale gas will play in our future energy mix. Methane has a 'lifetime' in air of about 13 years. Therefore its global warming potential (GWP) should be based on the 20 year time horizon. The 20 year GWP for Methane is at least 60, and may be as high as 100. Despite the setbacks of Chernobyl (1000000 premature deaths due to radiation fallout), Three Mile Island and Fukushima (circa 100000000 premature deaths Worldwide due to radiation fallout), it is clear that nuclear power based on solid fuel rods and U235/U238 fission material resulting in high-oder Actinides is not the answer to World energy problems, nor Sodium-cooled Integrated Fast Reactor (even worse than the AP1000 Westinghouse design at Fukushima - IFS is ghastly technology), nor shale gas which causes severe ground water contamination on account of the chemicals used for fracking. Only Thorium FLTR will save the situation. Had Chernobyl, Three MIle Island, Fukushima and Sellafield (Windscale) been Thorium LFTR, none of the severe nuclear accidents would ever have arisen. Throium LFTR is the answer and the World is just turning its back on a golden gift. There is enough easily-accessible Thorium to power the World safely an cleanly via Thorium LFTR technology at present energy utilization rates for the next 100000 years at least. @Tim: Your figures for the nuclear accident death rates are crazy and wildly inconsistent with the best scientific information. I like molten salt thorium reactors as well, but let us use correct information when discussing these things. I am sure that people actually working with LFTR designs would never agree with your claims for the death rates. They know better.